The Annual Reenactment of the Boston Tea Party is more than a historical reenactment. It is a community celebration that brings to life an iconic story in a way that is interactive, educational, and meaningful to a tremendous amount of people. The Annual Reenactment provides neighboring businesses and organizations an opportunity to join in the festivities and become part of the event. In the past two years, the event organizers have encountered many people who have traveled to Boston, from all over the United States and Europe, to attend this event. As awareness of the Annual Reenactment grows, we expect this number to increase significantly. It is our sincere hope that with more awareness will come more visitors to Boston, thus increasing revenue for the city, the Fort Point Channel neighborhood, and its hospitality industry. 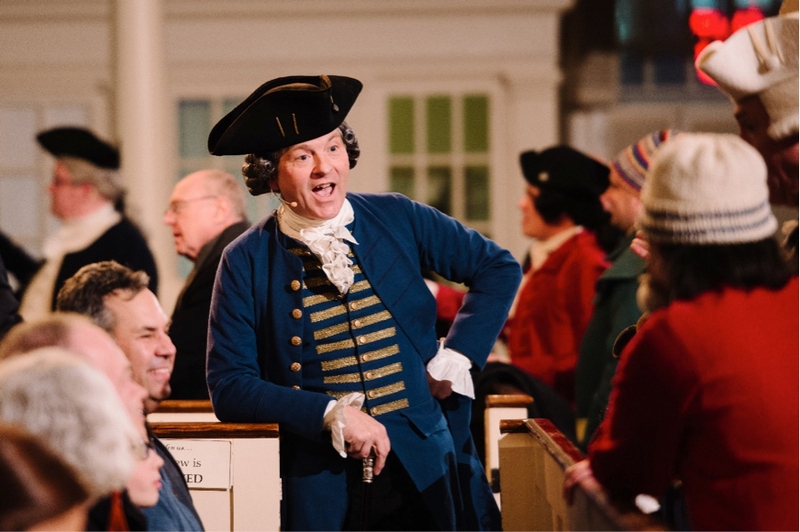 Be a part of history and volunteer for the Annual Boston Tea Party Reenactment. We are seeking both costumed and non-costumed volunteers to participate in the event. 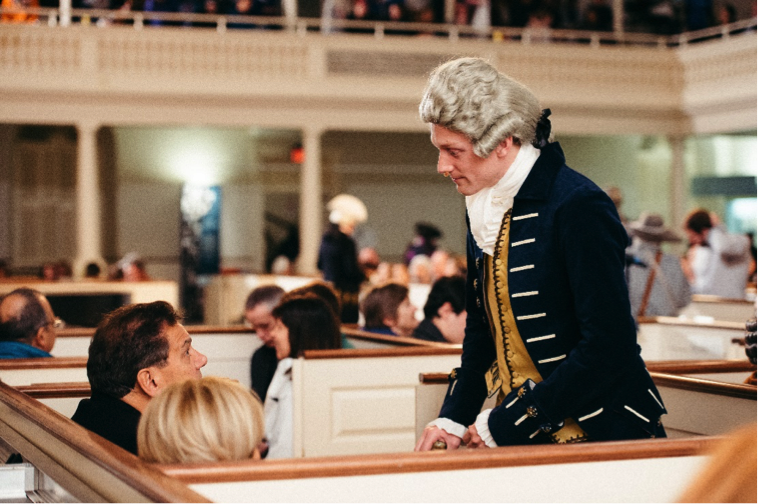 Costumed volunteers: Add historical atmosphere to all three acts of the event and participate as a costumed Citizen of Boston! 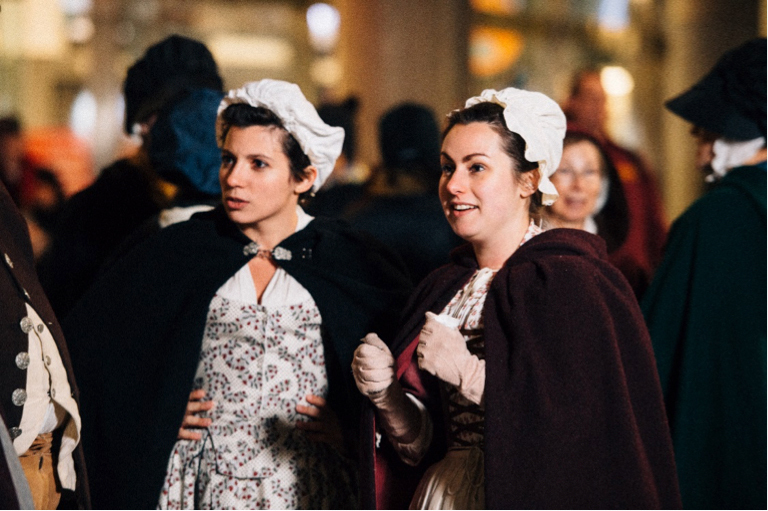 Non-costumed volunteers: Participate in multiple facets of the Reenactment. Assist with leading the parade and ensure safety for all those involved. If you are interested in volunteering for the reenactment in either capacity, please complete the form below and someone from our production staff will get back to you shortly.